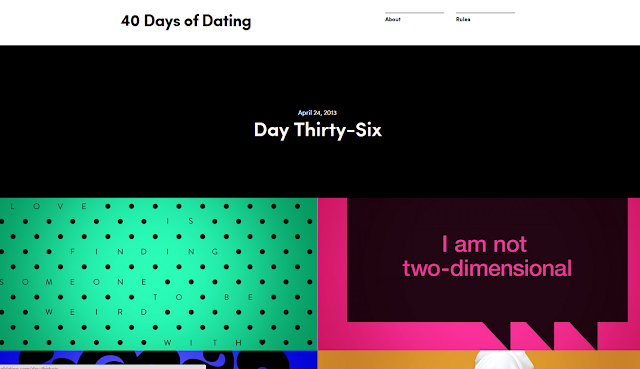 Kenny Kellogg: 40 Days of Dating - "An Internet Reality Show"
40 Days of Dating - "An Internet Reality Show"
I just came across this interesting site called 40 Days of Dating. It's like an Internet Reality Show where two long time friends try dating for 40 days to see if they are meant for each other. Every day a new post is published, each from the perspective of the guy and the girl. It's strangely interesting to me, and people who love reality TV will love it. Google Ads in Gmail Inbox?